Shrouded in silence and topped by the widest, deepest and most liberally star-strewn skies one could imagine, the Great Karoo is an awe-inspiring desert landscape where time stalls. Life is slow and deliberate – reverent, almost, and with plenty of room for travellers coming to pay their respects. The landscape is unforgiving in its climatic extremes, yet also beautiful and mesmerizing. 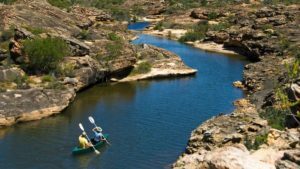 There are vast tracts of semi-desert in the Karoo; and jagged mountains; and fascinating succulent plants; and small, Victorian-era towns that make great stopovers on an unhurried road trip. The Little Karoo – or Klein Karoo – lies to the north of the Great Karoo, and is sometimes thought of as a miniature relation of the Great Karoo. It’s a region of stunning mountain ranges and scenic passes, wine-growing tracts, cute country towns, ostrich farming regions and the Cango Caves. 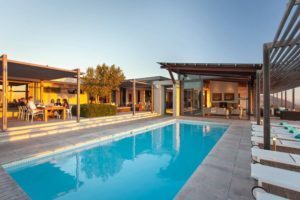 On a trip through the Karoo and Little Karoo, it’s both the journey and the destinations that count, so here are some great places to stay in the Karoo and Little Karoo. 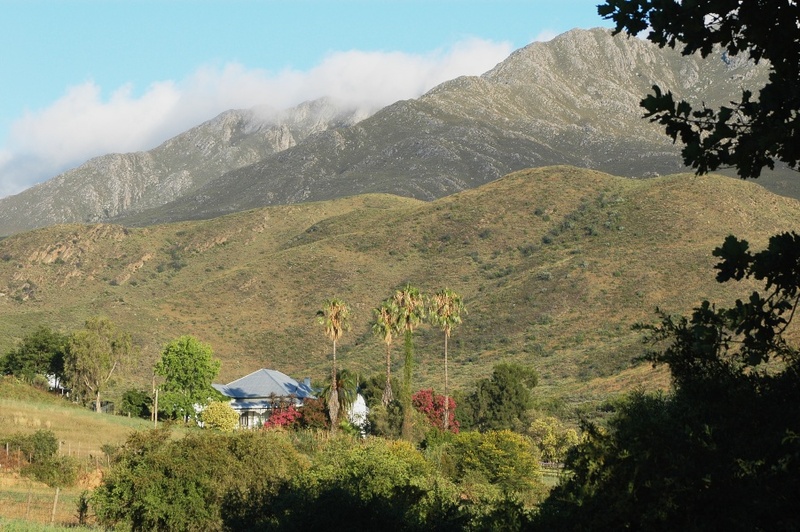 Swartberg Private Game Lodge is a private self-catering wildlife safari and nature getaway in the Little Karoo. 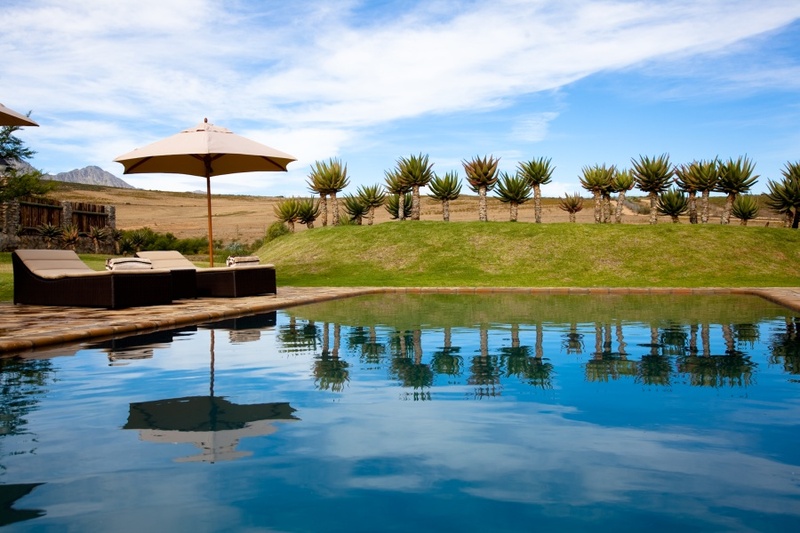 Available for the sole use of families or small groups, this five-bedroom Karoo-style lodge is set on a malaria-free wildlife estate, home to a variety of antelope, as well as Giraffe and Cape Mountain Zebra. Free of large predators, the estate offers guests the opportunity to safely explore the terrain on foot or on mountain bike. De Denne Country Guest House is a four-star country hideaway set on a working ostrich farm just outside Oudtshoorn in the Klein Karoo. The area is acclaimed as the ostrich capital of the world. 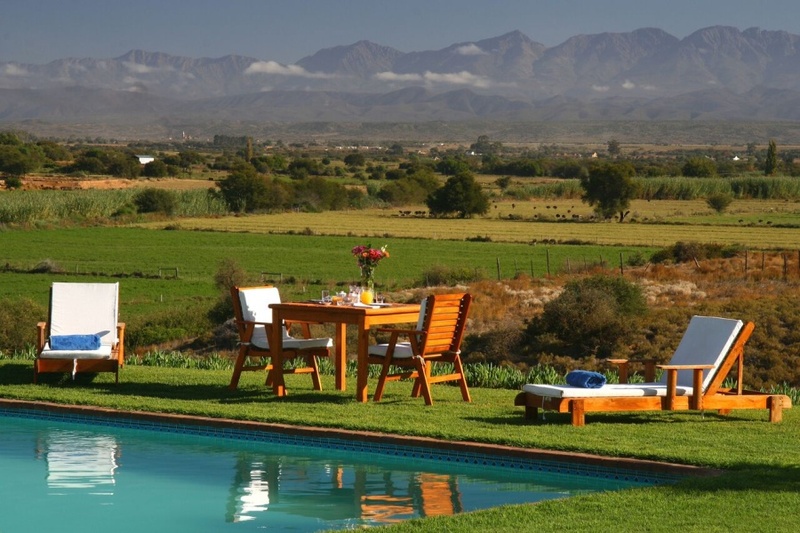 The guest house is well positioned, looking out across the farmlands of the Olifants River valley and the Swartberg Mountains. De Zeekoe Guest Farm offers a rewarding and child-friendly holiday on a working farm just outside the ostrich capital of Oudtshoorn. Observe daily activities on the farm and enjoy a variety of nature experiences, including the area’s now-legendary meerkat tours, visits to nearby ostrich ranches and the Cango Caves. 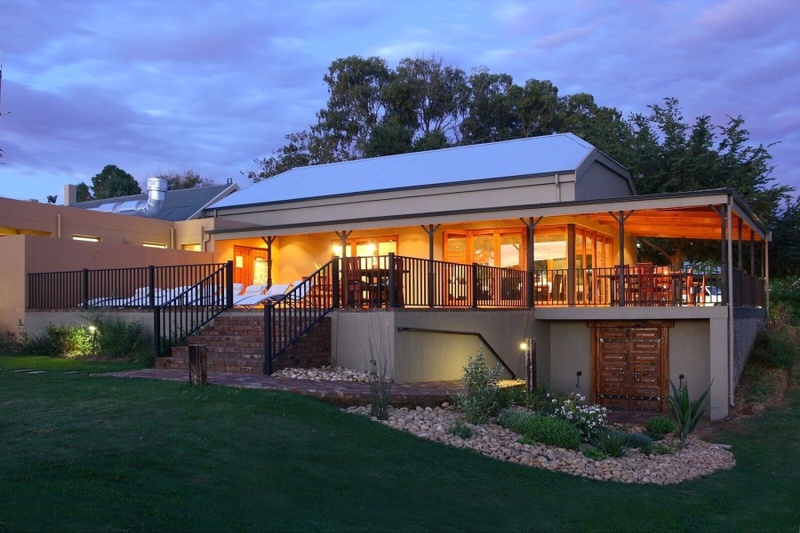 The Retreat at Groenfontein is a welcoming nature getaway set in the exquisite Groenfontein Valley Conservancy, bordering the Swartberg Nature Reserve World Heritage Site. The retreat forms part of a significant conservation area, and offers its visitors access to an unspoiled world of hills and kloofs, clean rivers, clear rock pools and cooling streams. 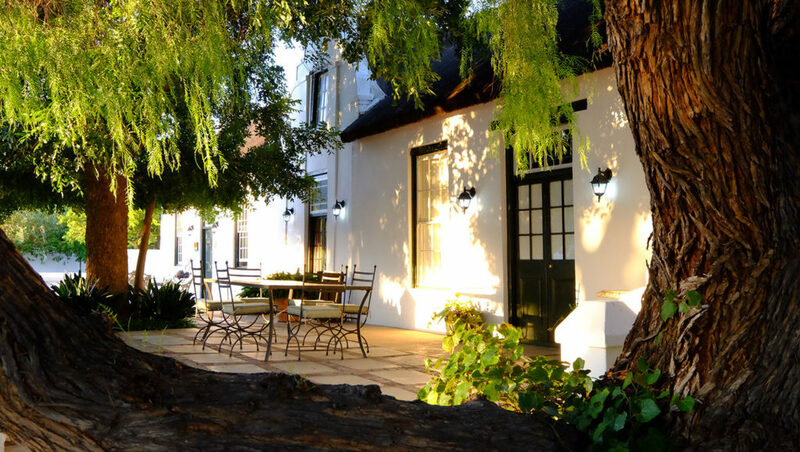 Onse Rus Guest House is a haven of country hospitality in Prince Albert, a gorgeous, easy-going Karoo town oozing charm and spilling over with local art and culture and the farm produce of the region. Steep yourself in Karoo culture and hospitality, admire the town’s beautiful historic architecture, enjoy local food and art, and explore surrounding farms and scenic routes. 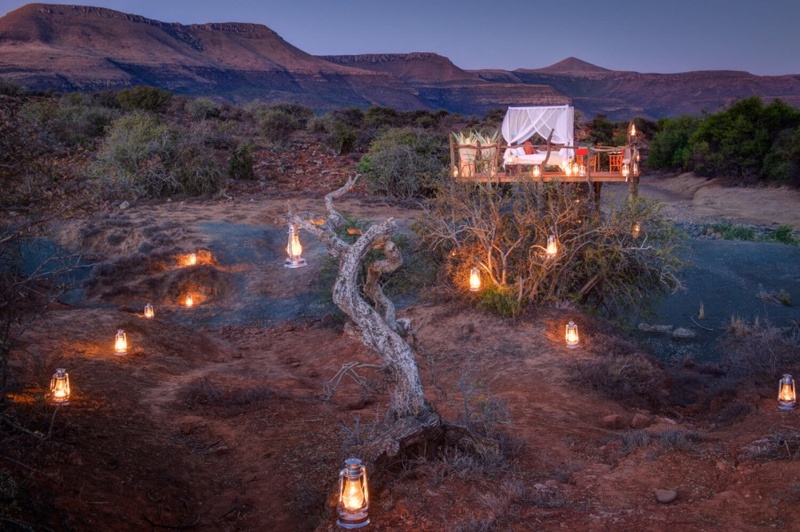 Samara Private Game Reserve is a wilderness of 70 000 protected acres in the malaria-free Great Karoo. 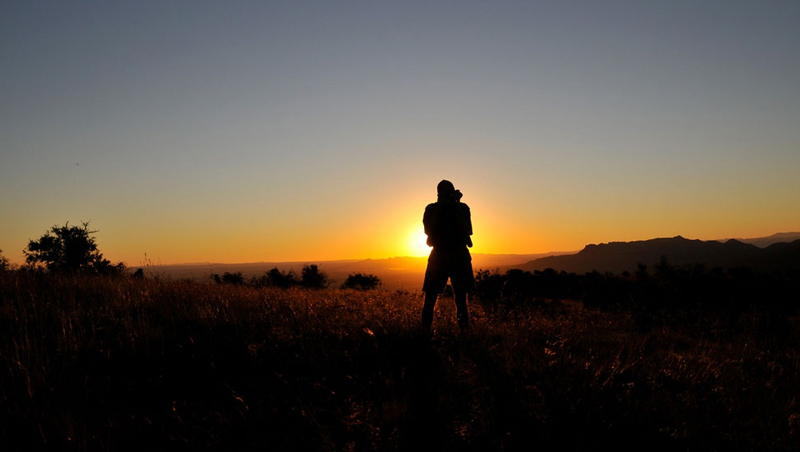 Be inspired by Samara’s conservation projects; explore the untouched plains where magnificent herds of antelope can be viewed; delight in the mountain plateau where Cape Mountain Zebra have found safety; view fossils predating the dinosaurs, as well as ancient Bushman paintings. Book online above, or mail us for more information, or speak to us on +27 21 797-7122 (international) or 0860 102 907 (local).